Wised Up: A Reformed Mobster's Confessional Memoir - Second Edition Updated With a New Chapter and More Photos: Charlie Wilhelm, Joan Jacobson on Amazon.com..
Wised Up is a story of atonement for Charlie Wilhelm, a career criminal who ended his life of crime the year he turned 40. Going to the FBI with no lawyer - and no criminal charges against him - he went undercover, wearing a wire to catch his life-long friends for drug dealing, bribery, loan sharking and murder. This intimate story, told in Charlie's voice, is the first to expose organized crime in Baltimore. It reveals the complex relationship between an informant and his FBI handlers, and explores the tormented mind of a man with Post Traumatic Stress Disorder who faces the consequences of doing the right thing, while turning against his crime family. 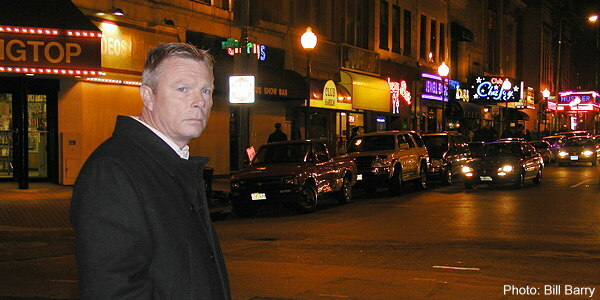 Wised Up also introduces the one person most responsible for helping Charlie change his life - FBI agent Bruce Hall, a forensic mineralogist who grew up with Charlie in a working class neighborhood in Baltimore's suburbs. The book was written with former Baltimore Sun reporter Joan Jacobson, who researched hundreds of documents and conducted dozens of interviews to confirm Charlie's story, which first appeared in a four-part series in the Baltimore Sun in 2001. Charlie Wilhelm began writing a journal in 1996 as a form of therapy while he was hiding in Alabama - and his friends were being arrested back in Baltimore. That journal forms the basis for this book. 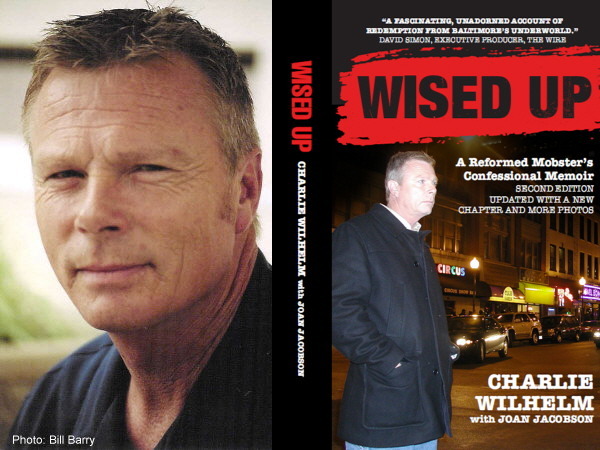 In this second edition of Charlie Wilhelm's memoir, a new chapter takes up where the original Wised Up left off when it was first published in 2004 after Charlie put his best friend in prison for murder. Read the updated version and find out what happened next. By Charlie Wilhelm With Joan Jacobson, Kensington Publishing Corp.
We always like to see local authors publish books, especially books about Mobtown. But Wised Up is the most exceptional example of local color we've seen in some time. Former Sun reporter Joan Jacobson and former organized crime boss Charlie Wilhelm team up to tell Wilhelm's story of turning FBI informant and his subsequent seclusion in Decatur, Ala. The book's a real page-turner both in Wilhelm's true-crime story and in the way it's told: It's got enough offbeat colloquialism to locate Wised Up as all Baltimore, though from a darker side than many of us live. And as a bonus, Wilhelm describes how illegal loan-sharking, illegal lotteries, and those 'for amusement only' video-poker machines work. Arson, loansharking, drug dealing, extortion  it was all in a day’s work for Charlie Wilhelm. In Baltimore, an organized crime syndicate of over 200 men took orders from him and his partner, strong arm enforcer Billy Isaacs. For over twenty years, Charlie lived the sweet life, making $10,000 a week in untaxed cash. But everything changed in 1995, when Isaacs demanded that Wilhelm take out two men he suspected of cheating him. Charlie Wilhelm didn’t want to kill  but he didn’t want to die, either. Turning to FBI agent Bruce Hall  who’d grown up in the old neighborhood with Charlie  he became a double agent, working undercover against his former associates. Danger lay everywhere, from suspicious hoodlums to dirty cops and even a Mob tipster working in the U.S. Attorney’s office. One misstep could spell death not only for Charlie, but for his wife and children. Yet Wilhelm’s efforts not only saved lives  they resulted in twenty convictions for offenses ranging from bribery and conspiracy to drug dealing and murder. Now, in his own words, Charlie Wilhelm tells his incredible true story of a wild life lived on both sides of the law.